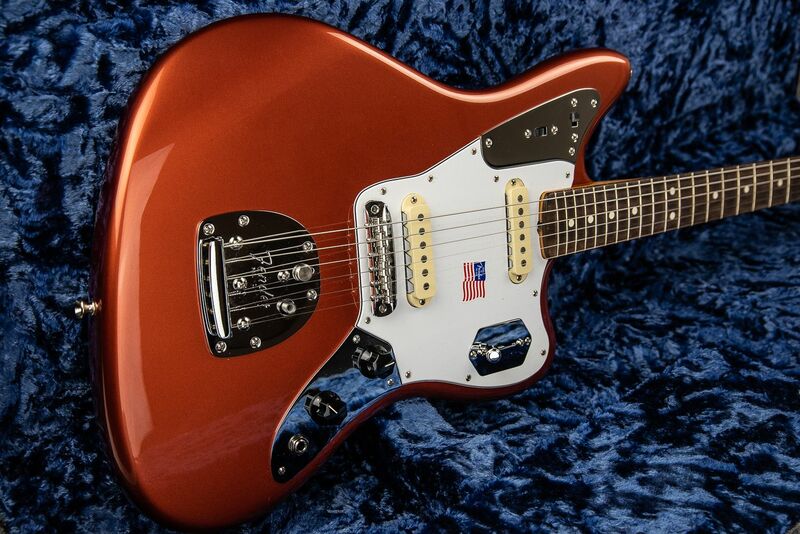 In stock now and includes fast secure courier delivery and a custom set up service in our experienced workshop - This wonderful Johnny Marr Jaguar in Metallic KO Guitar offers players an individual and creative set of premium build specifications that will impress and delight any guitar fan or experienced player. 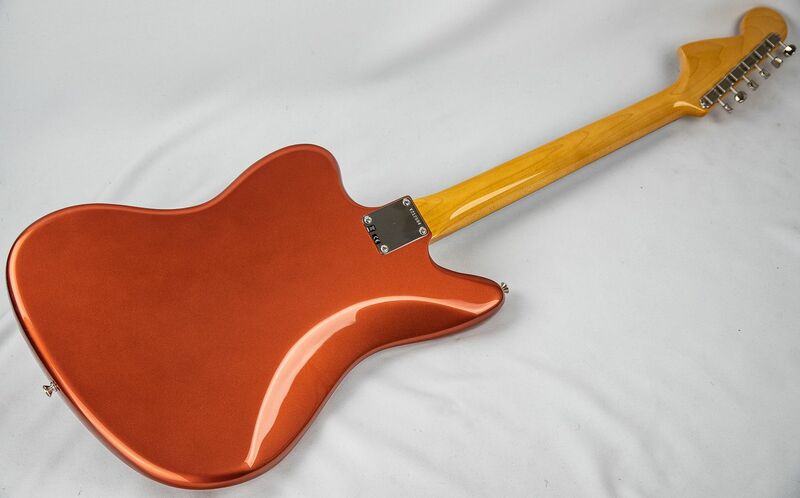 Includes Fender hard case and accessories. We are delighted to have just received one of these hard to get and sought after Johnny Marr Jaguar in Metallic KO Guitars with official Hard Case. 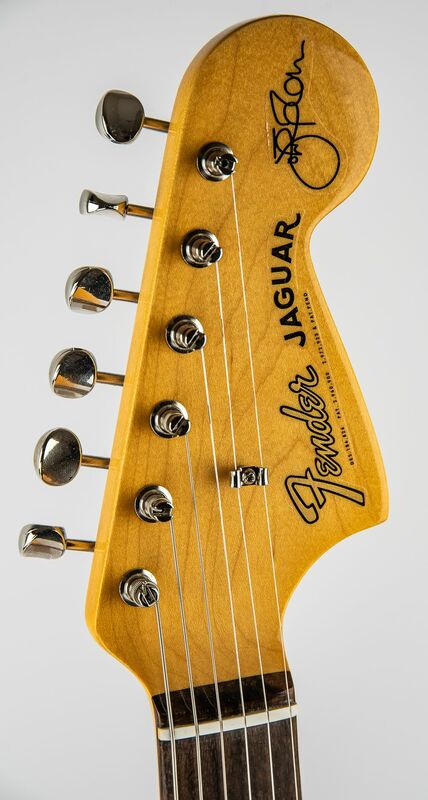 This incredibly intuitive and creative Artist inspired Fender Jaguar offers players a wonderful upscale playing performance with a selection of carefully chosen more personal specifications and premium build features. 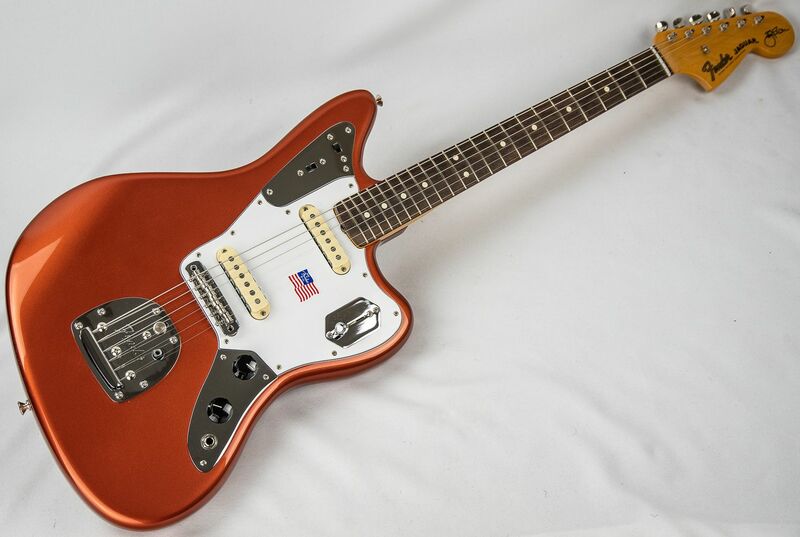 This Metallic KO Jaguar has a lot of history and has been inspired and created in conjunction with one of the most creative players we have experienced in modern times. Johnny Marr is best known as the strikingly dynamic guitarist-arranger-songwriter behind the Smiths, who redefined and ruled U.K. pop in the 1980s. A master of melody, layering and texture, Marr has brought his own instantly identifiable genius to the proceedings ever since, in stints with The The, the Pretenders, Modest Mouse and the Cribs—to say nothing of his solo career and innumerable guest appearances. The Johnny Marr Jaguar is a fantastically non-standard model that is as distinctive as the sounds he wrings from it.